The endangered gray gorial are at the risk of being hunted into extinction from Margalla Hills, said a senior wildlife official. Besides gray gorial, poachers are also extensively hunting barking deer and wild boars to make illegal profits, said Islamabad Wildlife Management Board (IWBM) Deputy Director Mumtaz Alam Khan. Margalla Hills National Park (MHNP) forming the foothills of Himalaya is nurturing a world of biodiversity with gray gorals and barking deer strolling in the woods and at times crossing the different hiking trails to enjoy the sunshine and enthrall early morning visitors of the park. Mumtaz Alam said IWBM is exclusively preserving the national park which sprawls over 17,000 hectares and over 12,000 acres ranging from Taxila to Bara Kahu. 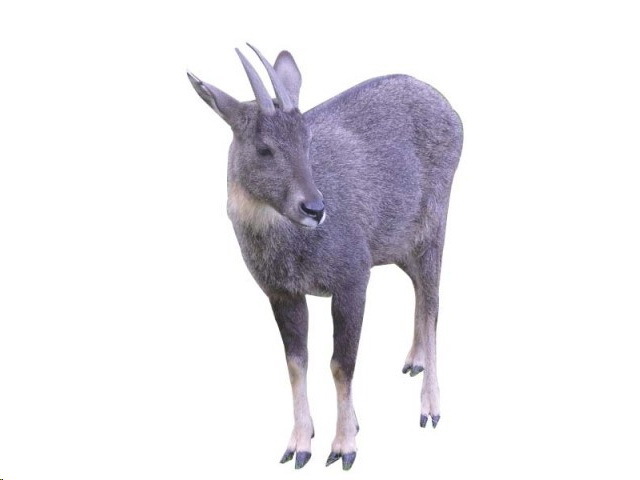 He said MHNP is home to diverse species of flora and fauna which is now facing the extinction of gray goral species which were ruthlessly hunted. The most visible fauna of the national park also includes pheasants and boars that visitors very often encounter while walking at the tracks. The IWMB has been strongly monitoring hunting of barking deers, boars and had also imposed heavy fines of sum Rs 30,000 to Rs 40,000 on violators. He said: “Barking deer licks salt and poachers usually put pieces of salt in the park to trap them for hunting which is being strictly monitored. The poachers are also hunting boars for sale to foreigners.” There is a whole network of boar suppliers from poachers to middlemen and buyers who cannot find their choice of meat in Islamabad. The wildlife board has the mandate to watch over the wildlife but it comprises of merely 25 members and has covered only 40 percent of the total area of MHNP which needs augmentation for better management of the park, he informed. He said the board after the devolution of Capital Administration and Development Division (CADD) was put under the Ministry of Climate Change added that the matter is still under the consideration of Cabinet Committee for final approval. The administrative hiccups have halted the smooth functioning of IWMB due to lack of funds as three months salary of employees was pending, adding that some of the staff has left owing to non availability of remuneration, he regretted. Khan informed that the board was formed in 1979 with the title of ‘Islamabad Preservation and Conservation of Wildlife Board’ whose rules were defined in 1983. However, IWMB also proposed the government to sanction 89 posts for its staff recruitment and revise its rules so that amicable management of the park to be brought in action but the authorities concerned replied to have no funds available.He said the national hill park has the potential to generate enough revenue to meet its everyday expenditures and also contribute its share to the national exchequer. “IWMB manages wildlife, safety of forests, encroachment in the national park and anti-littering campaigns to keep the ambiance clean and environment friendly. However, it also manages scientific studies going on in the national park,” he added. He said IWMB had been raising awareness among the masses to keep the national park clean and green where civil society particularly students from various schools and colleges were engaged for the purpose.